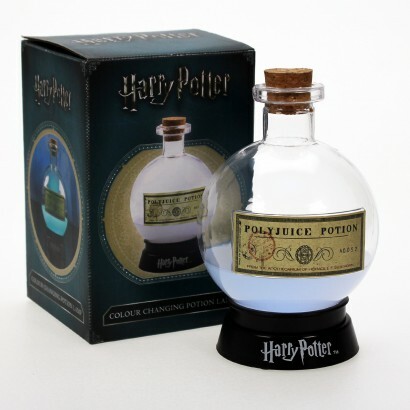 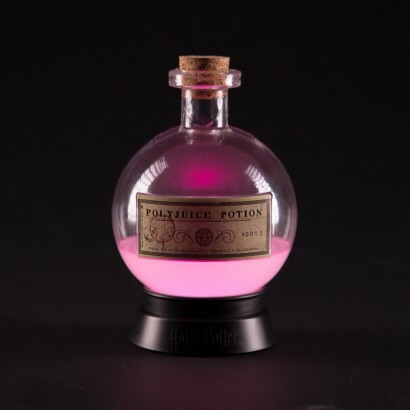 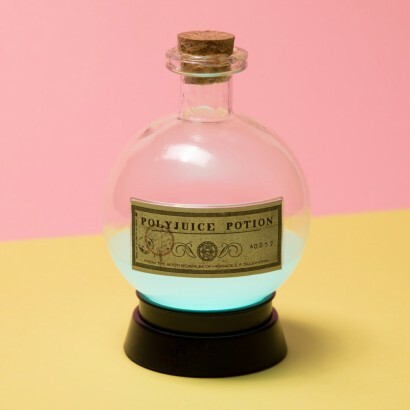 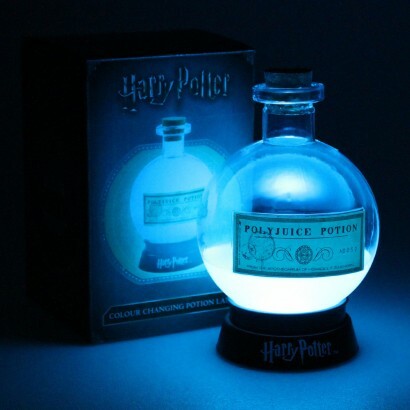 Straight from the Apothecarium of Professor Slughorn himself this magical bottle of Polyjuice potion shines with a colourful glow! 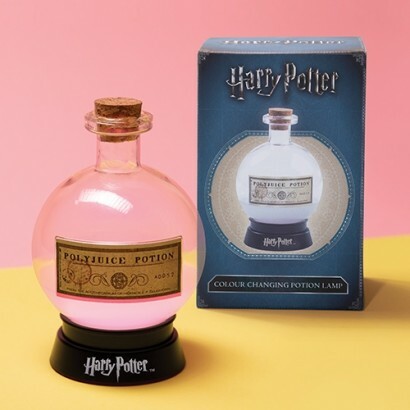 Say lumos to mesmerising lighting with an authentic Harry Potter potion bottle that shines with magical colour change light adding a splash of colour to the rooms of aspiring wizards and Harry Potter fans. Battery operated, place this authentic potion bottle lamp to your home for enchanting mood lighting and a magical vibe.